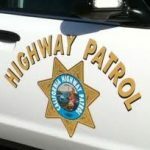 A traffic stop conducted by an Atascadero police officer Friday evening netted drugs, cash and stolen items, as well as a wanted parolee from Texas and a second suspect, according to police. One Morro Bay resident is in jail on a charge of maintaining a drug house, while five other individuals located at the home on Tuesday are facing a host of drug charges. Authorities confiscated methamphetamine, marijuana and a variety of weapons during a drug bust Tuesday morning in Morro Bay. The drug bust also netted three arrests.